Wintertime at Heather Murray Jewelry is about recovering from the busy summer, fall, and holidays; enjoying the quiet of Maine when the tourists have gone; and letting new ideas percolate. I am heading back into the studio to experiment with new pieces and enjoy this stretch of time to be creative. Feel free to email me with your favorite quotes or mantras that you would like to see engraved on some of this season’s new jewels. Stay tuned for innovative designs to come! 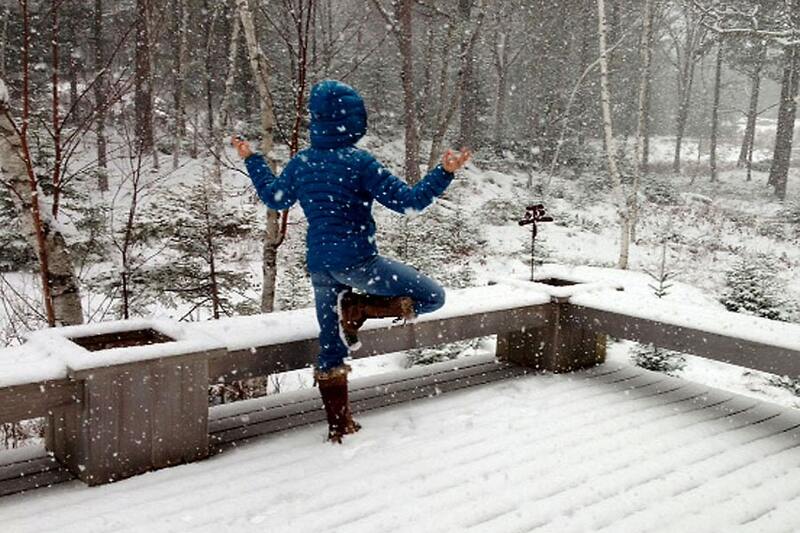 Vrksasana (Tree Pose) in falling snow and among the trees before heading inside my warm studio to make some yoga inspired jewelry. The Chinese symbol for peace sticks out of the corner flower box. Winter is an ideal time to experiment with the design of new yoga jewelry pieces. 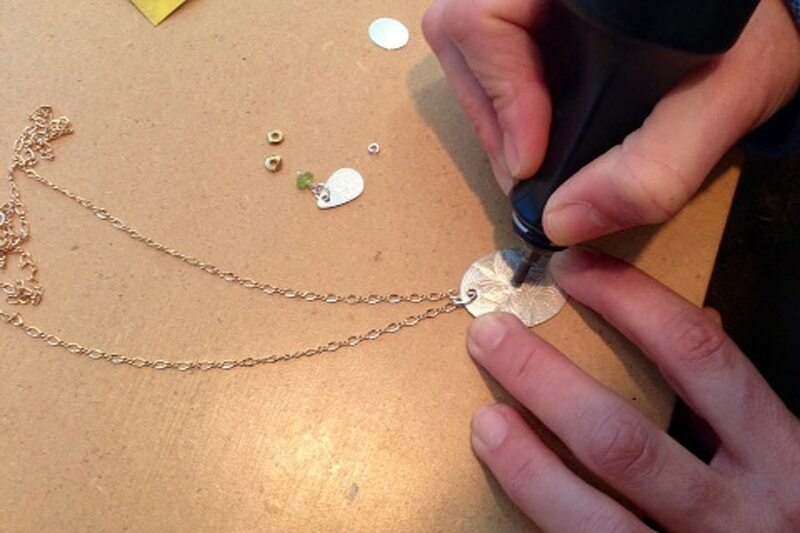 Today I’m working on an engraved necklace.